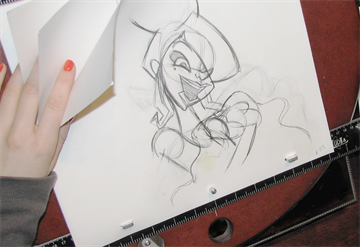 Traditional animation is the original method of animation, as well as the most popular. It is also called cel or classical animation. It consists of drawing every image of an animation on paper, normally 12 to 30 drawings per second per character or layer. The number of drawings per second is determined by the format (NTSC or PAL) or purpose. 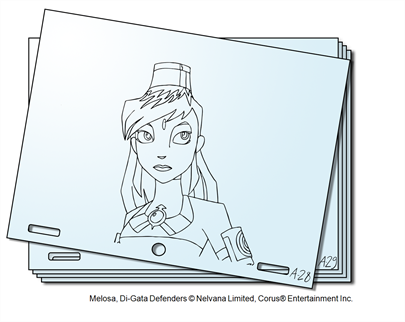 The human brain is able to process an animation with a minimum of 12 drawings per second. The number of drawings per second will be between 12 and 30. The standard is 24 or 25 frames per second. From the end of the 19th century to the late 1980s, the workflow was entirely done manually. Only with the introduction of computers to the general public did some of the steps become automated. Now, with all the technology available, the colouring and compositing are achieved digitally. However, the drawing part is still done by hand on paper.